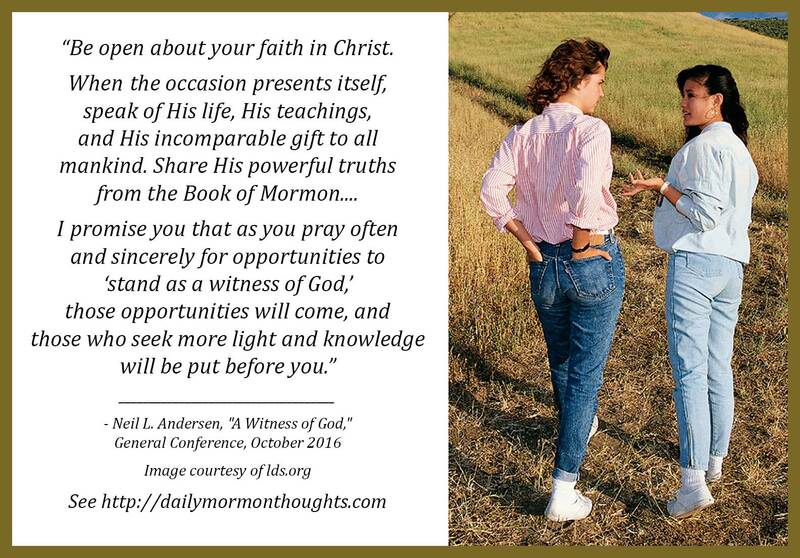 "Be open about your faith in Christ. When the occasion presents itself, speak of His life, His teachings, and His incomparable gift to all mankind. 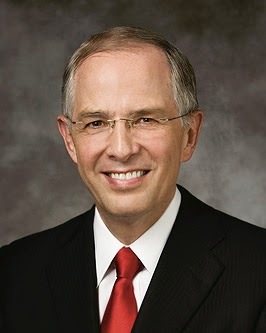 Share His powerful truths from the Book of Mormon. He has given us this promise: 'Whosoever… shall confess me before men, him will I confess… before my Father… in heaven' (Matthew 10:32). I promise you that as you pray often and sincerely for opportunities to 'stand as a witness of God,' those opportunities will come, and those who seek more light and knowledge will be put before you. As you respond to spiritual promptings, the Holy Ghost will carry your words to the heart of another, and one day the Savior will confess you before His Father." A appreciated this talk by Elder Andersen as he discussed the challenges many face as they try to follow the injunction to share the gospel message with friends and acquaintances. He addressed some of the common difficulties, such as fear and rejection. But the overriding message was the joy of sharing something precious with others as we trust the Lord's ability to not only guide us, but to be the One who touches hearts that are prepared and ready. Truly, all who know the truth of the message should sense a "compelling urgency" to share it and to help build up the kingdom of God.